Airplanes, supercars, Seattle. The Raging Bull takes off in Washington. 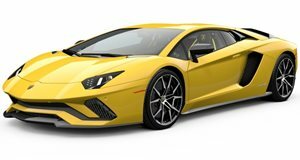 Boeing and Lamborghini have been collaborating for some time now, developing new and technologically advanced materials for their respective products. An example of their work is the bespoke carbon fiber used in the Boeing 787 Dreamliner and the carbon fiber pieces used in Lamborghini&apos;s flagship model, the Aventador. To mark the success of their work, Lamborghini has built a special edition Aventador. The "Boeing Edition" Aventador will be paraded around Washington for publicities sake. The one-of-a-kind Raging Bull features a blue and white Dreamliner paint job with some pitch-black wheels. The Lamborghini Aventador Boeing Edition made its debut at the Aerospace & Defense Supplier Summit. Check out the gallery below and keep an eye out for Seattle landmarks in the background, such as Boeing Field and the Space Needle, along with a 787 Dreamliner.